Are your Croquet Wickets not holding up? Try our set of 9 Croquet Wickets that are made to last with 3/16" diameter steel. They are perfect replacement wickets that will not easily bend, but are a bit flexible if the balls hit them hard during play. They are powder coated with white paint to prevent rusting. Replacement Wickets For Your Croquet Set. 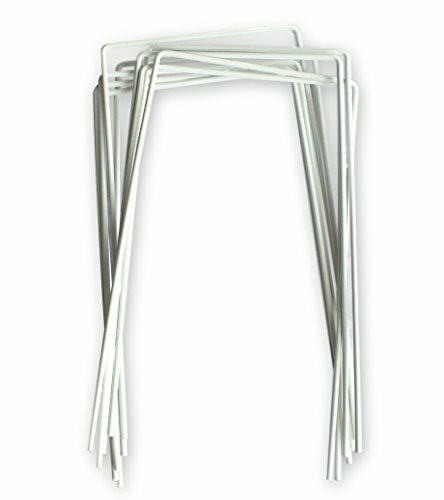 Features Sturdy 7 Gauge (3/16" Thick) Steel for Durability. Croquet Arches are 11" High and Have a 5.5" Wide Opening. Set of 9 Wickets for a Complete 9-Wicket Croquet Course.